Sand plains, blue waters, a mishmash of old and new. Welcome to the State of Kuwait, a desert country located in the Middle East. 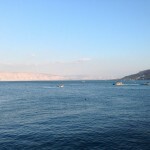 Made up of nine islands, it has a beautiful coastline. Kuwait’s city also has a blend of ancient marketplaces and modern skyscrapers. 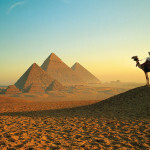 Its national bird is the falcon, which can be found anywhere in the country, appearing on stamps and Kuwait’s currency. 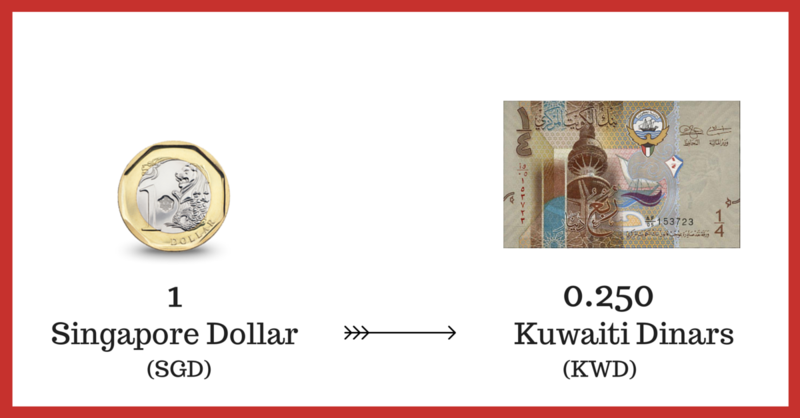 1 Dinar is equivalent to 1,000 fils. 1 SGD is 250 fils or 0.25 Dinar. Kuwait’s oil reserves make up 10% of all the oil reserves in the world, with 101.5 billion barrels of proven oil reserves. Kuwait is the world’s tenth largest oil producer, and the money they make from petroleum exports makes up almost half of all the money the country makes. 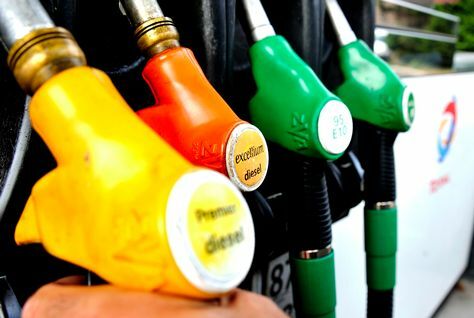 It is no wonder that petrol comes at such low a cost, with one litre costing only around 0.07 KWD. There are no trains in Kuwait’s capital, Kuwait City. 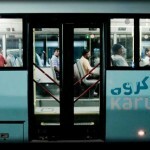 Bus services make up Kuwait’s entire public transport system but several railways are in the works. The buses are convenient and cheap. Three buses that can be taken from the airport – 13, 99 and 501 – all allow you to get around at the cost of 1 SGD. 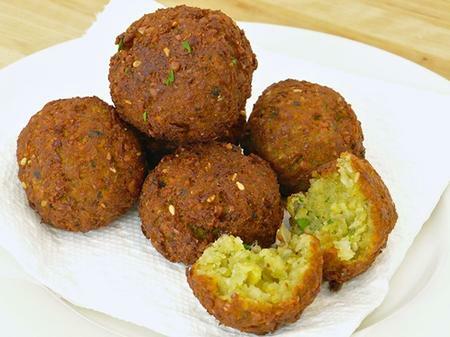 Falafels are a traditional Middle Eastern food that is usually served as a snack or an appetizer. They are deep-fried, and either in a ball or patty form. These delicious, deep-fried bites are made from ground chickpeas and/or fava beans. They are sometimes served in either a pita or a lafa (flatbread). 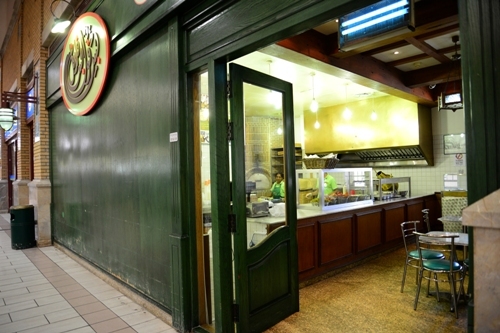 Bess Fooll Bess Felafel has a traditional Mediterranean concept that caters to all taste buds. You can find more information about Bess Fooll Bess Felafel here. 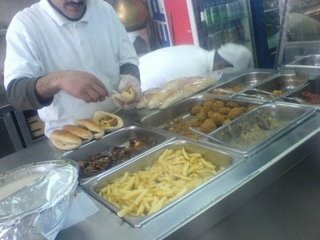 If you want more falafels, try the Mushakkal sandwich! 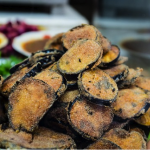 Mushakkal, meaning “mix” or “cocktail”, is a sandwich made from a combination of Falafels, green salad, french fries, fried eggplant and a sauce known as Tahina (made from ground, hilled sesame seeds). 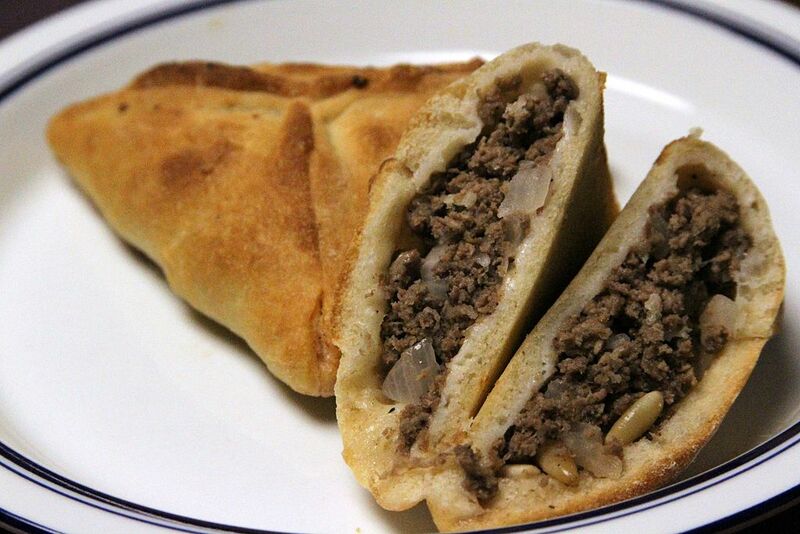 If you want a simple, full meal, a Mushakkal sandwich is the way to go! A Fatayer is a triangular Arab pie that is commonly stuffed with meat, spinach and/or cheese. They are soft and light, and can be eaten as snacks or appetizers. 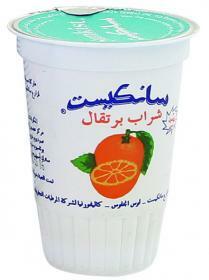 Cafeteria Shuwaikh offers a range of Fatayers with various combinations of fillings at a low cost. You can view Cafeteria Shuwaikh’s translated menu here. 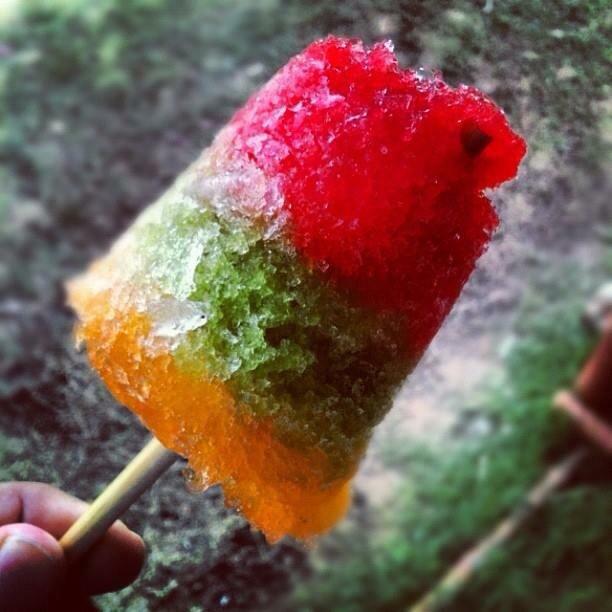 Ice Gola is a perfect treat on a hot day. This thirst-quencher is shaved ice on a stick drizzled with syrup(s) of your choice! In Kuwait, you can try all sorts of flavours, from the usual Vanilla, Chocolate, Rose and Mango, to exotic tastes like Rajbhog (a traditional Bengali sweet made with paneer then stuffed with almonds and pistachios), Chikoo (also known as “Sapodilla fruit”), Aniseed (a flowering plant that tastes similar to star anise, fennel, and liquorice) and Kalakhatta (a sweet tangy sherbet made from the fruit of the jamun (blackberry) bush)! 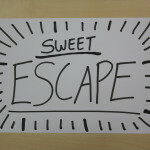 Aside from their Ice Golas, Kwaity Sweets and Snacks also offers Chinese and Indian cuisines, pizzas and vegetarian food. 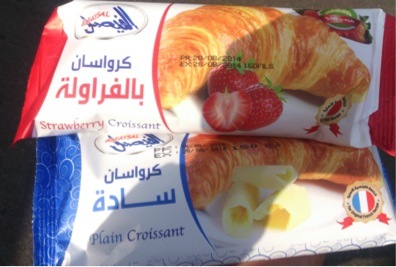 Check out what other snacks Kwaity Sweets and Snacks has to offer here. Who doesn’t love ice cream? 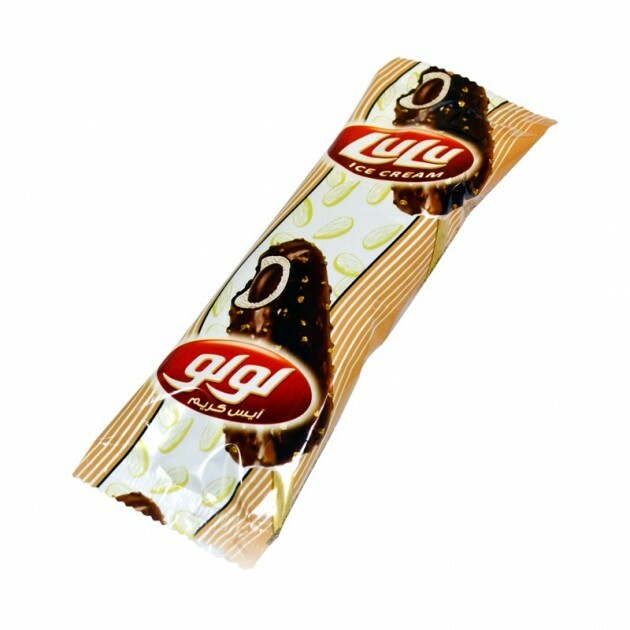 If you’re with a friend, or seriously craving some frozen treats, you can get two of these chocolate-coated ice creams sticks for the price of one. Comes in both chocolate and vanilla. What are Bakalas, you ask? 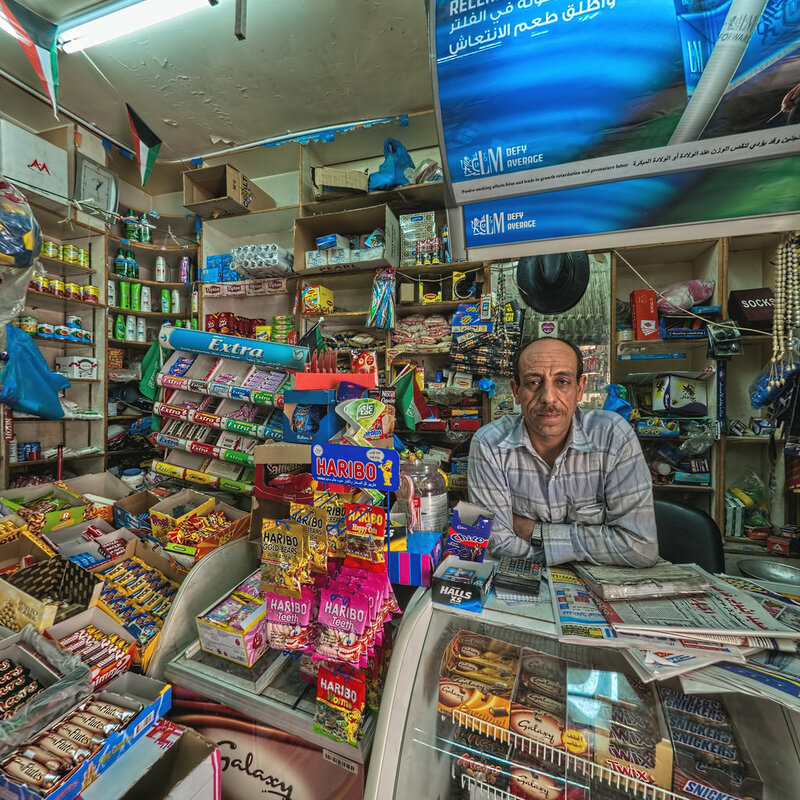 A Bakala is the Kuwaiti term for a convenience store and they are the equivalent to Singapore’s mama shops. 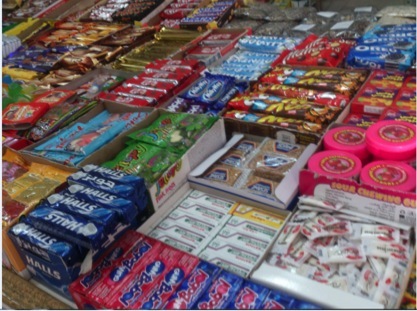 These stores can be found every 700m-1km, and the items inside vary from snacks to vegetables to common utilities. With 1 SGD, you can buy one of any of the snacks shown below. Or five cups of Sunkist Orange juice. You can take a virtual tour inside one of these shops here. Remember the Musical Fountain at Sentosa? Sadly, it was demolished in 2007. So if you happen to be in Kuwait, be sure to check out their Musical Fountain! It is one of the largest fountains in the world, with a total of 220 subsidiaries stretching through three major fountains. There are seating areas and food places around the vicinity, so you can spend a relaxing evening there with your family. More information about the Musical Foutain can be found here. 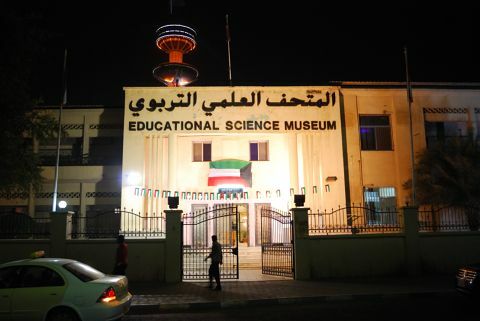 More information about the various museums in Kuwait can be found here. Why not experience Kuwait for yourself? 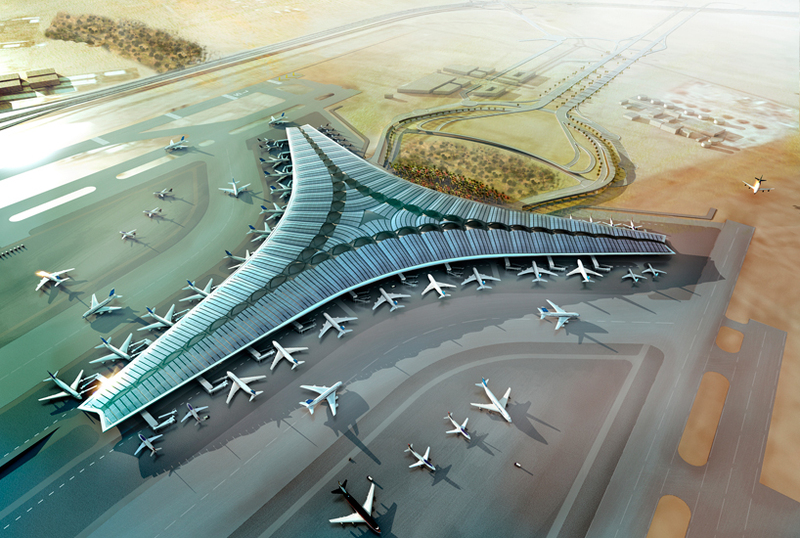 There are no direct flights from Singapore to Kuwait. The shortest flight is on SriLankan Airlines, which transits in Colombo. Total travel duration including transit time takes around 10 hours. Time difference: Singapore is five hours ahead of Kuwait.